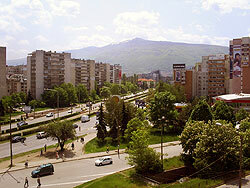 Krasno Selo (a prime area) is a residential area with mixed building styles. 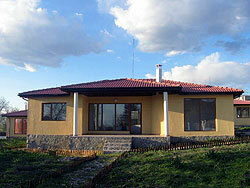 There are charming and atmospheric buildings, traditional houses of varying regional styles. There are also newer residential buildings built in the 1990s, typically made of bricks, and only a few storeys high. And there are Soviet-era panel buildings, up to 20 storeys high. Krasno Selo’s interesting old homes were a result of the old village’s welcoming refugees from Western Thrace, Vardar Macedonia, Southern Dobrudzha, and the Western Outlands during the aftermath of the Second Balkan War and World War I.
Krasno Selo urbanized quickly, and its multi-regional heritage is reflected in the municipality’s names (Tsaribod, Dobrudzhan, among others). Krasno Selo’s development was greatly helped by the building of the Knyazheska railway line (one of the first in the Balkans) in 1901. Its route survives today in the muncipality’s main thoroughfare, the Tsar Boris III Boulevard. There are two markets, the Krasno Selo Market and the Borovo Market, and an elementary and high school. 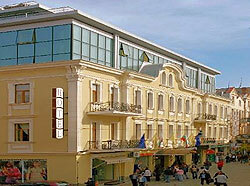 Despite its proximity to the city centre, the Hipodruma Quarter is a quiet, green area. There’s a great variety of architectural styles: low brick buildings from the late 1960s, monolithic high-rise buildings built in the 1980s, and the new developments around the broad and modern Bulgaria Boulevard built in the 1990s. Hipodruma has a huge supermarket, the Bila, and a park with a children’s playground. Public transport is good here. Near Hipodruma is the Beli Brezi (“silver birches”) quarter in southern Sofia, built between the Bulgaria, Gotse Delchev, and Tsar Boris III boulevards. Because of its location, and the good public transportation in the area, one can easily get to Southern park and other parts of the city from the neighbourhood. Homes in Beli Brezi include older residences built in the 1970s and 1980s and newer apartment buildings. There are some newer office buildings here as well. Beli Brezi is a quiet area, and property values here are quite high.